Rayver Cruz shares that he was ecstatic to do 'Saturday Night Chills' because he got to work with 'Alagwa' director Ian Lorenos and actors Joseph Marco and Matteo Guidicelli. 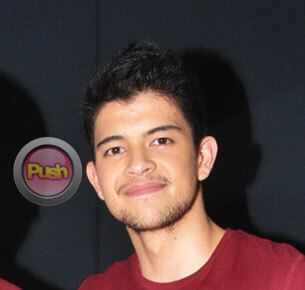 Rayver Cruz feels proud and elated to star in Saturday Night Chills. ”Siyempre sobrang proud first indie ko ‘to with Cinema One Originals so sobrang happy ako ngayon,” he said in an interview with Push.com.ph. Rayver received the Best Actor award for his performance in the movie. His co-stars, Matteo Guidicelli and Joseph Marco were hailed as Best Actors as well.